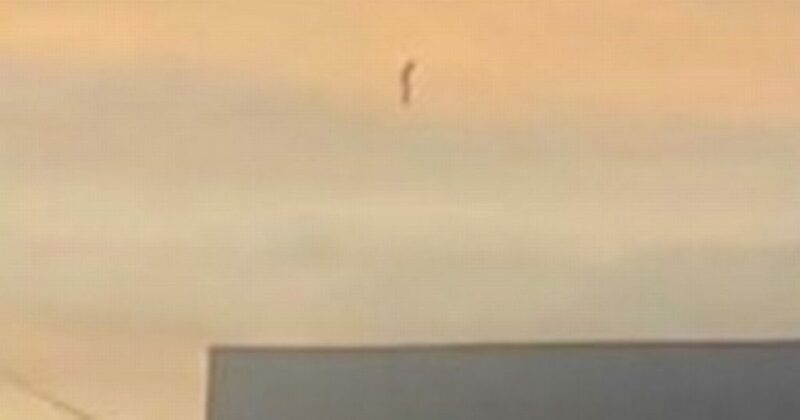 A woman traveling on the road captured footage of a strange vertical object flying through the Baja California, Mexico skyline. The UFO sighting sparked some online theories surrounding its true nature, with some suggesting that someone was testing a jetpack or that the video is fake. UFO expert Pedro Ramirez, however, had another opinion. Pedro believes the tubular UFO is the first sighting of 2018. Ramirez states that following recent space launches by NASA, such as Space X, Aliens are concerned and decided to increase our planet’s monitoring. He says there was a rise in alien activity during the last two months of 2017, and that it will continue well into 2018. Ramirez also claims that aliens identified the launches humans sent as war material. “This year will be crucial for those of us who follow this phenomenon closely,” said Ramirez. With more NASA space launches underway, Pedro Ramirez predicts there will be many more UFO sightings to come. The video got shared over 49,000 times by netizens who were either concerned or unimpressed by the footage. In the video, the woman asks, “What is it?” as she follows the object with her camera. Was the footage for real, or a hoax? How close to the truth are Ramirez’ theories?